Our city has had great successes in energy efficiency and renewable energy projects through our Energy Saving Action Plan and we hope for many more great achievements through our involvement in the Cities Power Partnership. 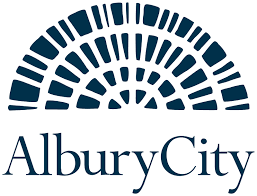 Albury City is a diverse local government organisation responsible for delivering a comprehensive range of services to support and improve the lives of our growing community of more than 50,000 residents. Our community strategic plan ‘Albury 2030’ identifies the main priorities and aspirations for the future of the city, including focusing on growing a sustainable economy and enhancing the natural environment. ‘Albury 2030’ specifically identifies the importance of promoting clean and renewable energy initiatives as well as investigating and encouraging energy-saving initiatives to residents, industry and business. Albury City has committed to and acted on a number of initiatives relating to renewable energy and energy efficiency. Initial actions have focused on understanding our energy demands, usage patterns and key sites through energy audits and detailed site and asset reviews. Key areas for consideration have included lighting, heating, ventilation and air conditioning, solar opportunities and our water/wastewater facilities. This approach has encouraged a whole of organisation approach to energy management involving Asset Maintenance, Finance, Design, Operations and Sustainability staff to ensure a holistic rollout of energy saving measures across Council. A key element of our commitment and success has been the development and implementation of an Energy Savings Action Plan (ESAP). The ESAP provides a four year forward works program for energy management initiatives, including an annual review and adjustments based on energy audits across our organisation and any new opportunities that may arise. These outcomes form the basis of our delivery program and long term financial planning. Not only has our success generated immediate financial benefits but it has also provided us with the opportunity to be a leader in our community in this field, further encouraging business, industry and residents to consider, develop and adopt long term sustainable practices. Albury City Mayor, Kevin Mack, said measures completed to date include 200kW of solar installations, LED lighting, variable speed drives and Power Factor correction measures. Albury joined the Cities Power Partnership in 2017 to reinforce our commitment and continue our focus on energy management. The Cities Power Partnership will provide opportunities to share knowledge, experiences and expertise in this arena across Australia that will improve our take-up and adoption of new practices and technology further enhancing the outcomes that would otherwise have been achieved.